The new chairman of the Organization for Security and Cooperation in Europe (OSCE) has said he seeks to improve relations with Russia, as there can be no "positive developments" on the continent with the current punitive approach. 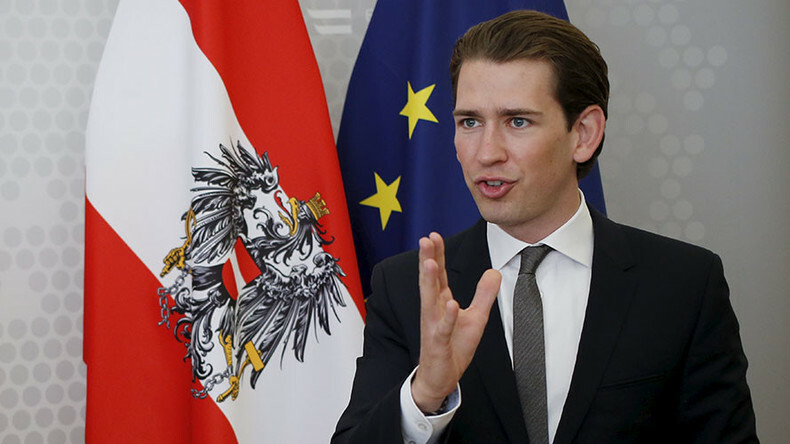 Austrian Foreign Minister Sebastian Kurz said his country, Austria, will work to "gradually" ease sanctions imposed by the West against Russia in connection with Ukrainian crisis. Kurz assumed the OSCE leadership for 2017 from January 1. "We need to build confidence in Europe again and move away from a system of punishment to a system of incentive," Kurz said in an interview with Germany's Der Spiegel magazine. Since the outbreak of the crisis in Ukraine in 2014, a "bloc thinking" harking back to the Cold War has returned to Europe, Kurz said, adding "a trend reversal" in regard to Russia is required. "We should relax the sanctions gradually, for any positive developments to happen on the ground," he told Der Spiegel, adding that he would use Austria's new chairmanship in Europe as an opportunity to push for such changes. Speaking to Austria's Oe1 radio, the country's top diplomat also said "a better relationship between the EU and Russia" would be among his top priorities as OSCE chairman. In December last year, EU extended economic sanctions against Russia for another six months, citing "not enough progress" in fulfilling the Minsk peace agreements to settle the Ukrainian crisis. Kurz now wants to put the issue high on his agenda. "We need to seek dialogue with Russia," he told Germany's Deutschlandfunk public radio, adding that he intends to travel to Moscow later in January. His visit is seen as the first concrete step of a reconciliation strategy with Russia. 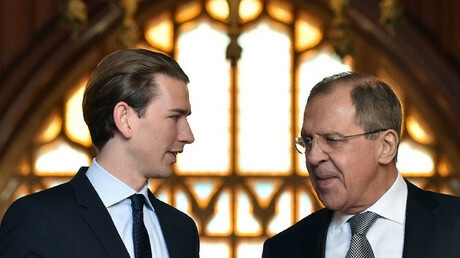 Austria is "a small but neutral country, which has geographically always been a bridge between the East and the West... We have to look for a dialogue with Russia, as there can never be peace on our continent without it," Kurz said. The recent statements of the Austrian FM in his new role as the OSCE chairman is in line with his previously declared position on relations with Russia. During recent European discussions of possible new sanctions against Moscow in relation to Syria, Kurz said, "the idea to have additional sanctions against Russia would be wrong." In June 2016, before the EU renewed its restrictive policy against Russia yet again, the Austrian foreign minister called on his counterparts to resist such a move, but pave the way for dialogue instead. Calls for normalizing ties with Moscow have also been coming from Italy, who will chair a G7 summit in May this year. Italy’s Prime Minister, Paolo Gentiloni, said he would try to use the high-profile gathering to change the mood between the EU and Russia. “[Italy] will try to use its G7 presidency to contribute to different relations with Russia. Italy can play a role in this game,” Gentiloni said in December 2016. “It is about lifting, in case they're there, ideas that return to ideological systems and frames that are typical of the Cold War, and that have no meaning in the actual [political] situation," the politician stressed. Similar views have been repeatedly voiced by Gentiloni’s predecessor Matteo Renzi. “We need Europe and Russia to become wonderful neighbours again,” Renzi said during an economic forum in St.Petersburg last year. And in October 2016, Renzi pushed against EU plans to impose sanctions on Russia over the situation in Aleppo, Syria. "I think that to refer in the text to sanctions makes no sense," Renzi said.